Cleveland Browns quarterback Baker Mayfield won the Professional Athlete of the Year Award at the Greater Cleveland Sports Awards ceremony. Mayfield was presented with the honor at the 19th Greater Cleveland Sports Awards dinner at the Renaissance Cleveland Hotel Grand Ballroom Wednesday night. 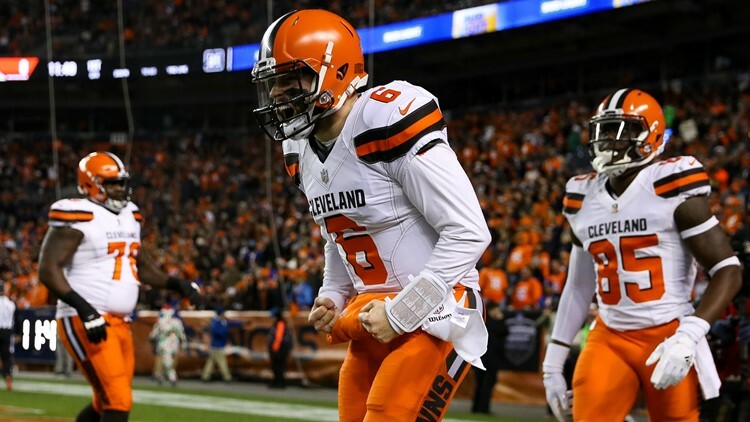 Mayfield threw more touchdowns passes than any other rookie in the 99-year history of the NFL. Mayfield broke the NFL record co-held by future Hall of Fame quarterback Peyton Manning and multi-time Seattle Seahawks Pro Bowl signal-caller Russell Wilson with his 27th touchdown throw of the season with 3:24 to play in regulation of a 26-24 loss to the Baltimore Ravens in an AFC North Division clash at M&T Bank Stadium in Baltimore on December 30. Mayfield completed 310 of his 486 attempts (63.8 percent) for 3,725 yards and the 27 touchdowns against 14 interceptions after taking over the first-team offense in the second quarter of a Week 3 win over the New York Jets at FirstEnergy Stadium.